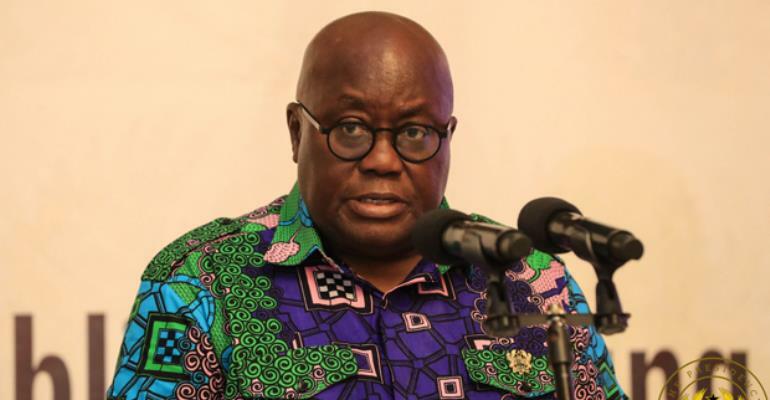 Chiefs and people of Agona Swedru and Nyaakrom in the Central Region want a new district to be created for them in the area, a day after those in the Vakpo Traditional Area in the Volta Region made a similar appeal to President Akufo-Addo. The request was made when the chiefs and people of the Traditional Area, led by the Omanhen of Agona Nyaakrom, Okofo Katakyie Nyarko Eku X, called on the President at the Jubilee House yesterday. Okofo Katakyie Nyarko Eku X also made a passionate appeal to the President to help fix a deplorable bridge at Nyaakrom and roads in the community. This, according to him, would facilitate the transportation of food, goods and services from that part of the country to the rest of Ghana. He lauded the Free Senior High School (SHS) policy, which has increased access to secondary education in the country. They later presented a stool to the President as gift. President Akufo-Addo, on his part, promised to work with the appropriate authorities to create the Agona Central District. He also promised to help rehabilitate all roads and defective bridges in the town. The President called for prayers and continued support to help him lead the country effectively.